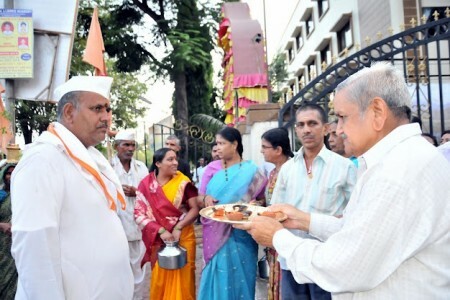 A group of 200 Warkaris accompanying Palkhi of Sant Tukaram Maharaj were given a warm welcome at the Ashram on 11th June 2012. They were provided food, accommodation and first aid by the Ashram.They participated enthusiastically in Haripath and Bhajans 3 times a day. One of them also gave a satsang interspersed with Abhang on the topic of Bhakti, which was a delight to the ears and minds of listeners. 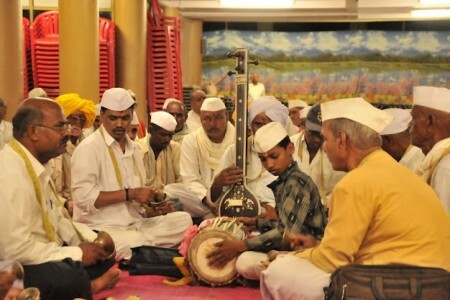 This time the stay was for 2 days and they restated their journey towards Pandharpur on 13th July.